Let Us Show You How Easy Private Label Can Be – Join Us at ASD! Are you going to the ASD trade show in Vegas next month? Join me and my team as we walk the floor at ASD to look for private label opportunities. Did you know that you don’t have to source private label products in China? Wholesale companies are a great source for private label and where can you find gobs of wholesale companies? That’s right…ASD. If you want to see how easy private label can be, join me and my team! 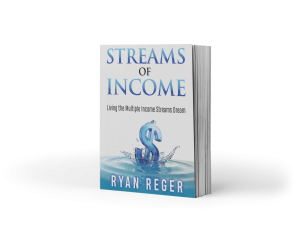 In Living the Multiple Income Streams Dream, I will explain the 3 main online business models and how to use them to build multiple streams of income. 2017 is a fresh start. What do you want for your business this year? If selling physical products online is a major stream of income for you then I encourage you to take a look at private label. In my opinion it’s the best way to build a long-term, sustainable physical product business. Imagine having no competition on your listings. Imagine products that are replenishable month after month. Imagine products that are immune to Amazon’s brand restrictions. And best of all, private label doesn’t have to be hard and no, you don’t have to source overseas. Amazon sponsored ads can be so confusing. How do you know what keywords to use? How do you know what cost per click to set your campaigns at? I am not an expert in Amazon Sponsored ads, but my friend Mike Russo is and he’s going to be sharing his knowledge on a live workshop this Tuesday, December 13 at 8 PM ET. Please register for it even if you can’t make it live as it will be recorded. Do you remember my friend Abe Ortolani’s recent Data Mining workshop? Well, Abe is back for round 2 and it’s going to be even better. Abe’s workshop is Thursday, December 15 at 8 PM ET, but register if you can’t make it live as it will also be recorded. I’m sure you have noticed that Amazon is making it tougher and tougher on those in which their whole business is built upon retail arbitrage. Not to mention the number of other people that get into this business on a daily basis that drive prices down. I’m not a doom and gloom guy. I think there will ALWAYS be opportunity for retail arbitrage. I just don’t think it’s smart to build your whole business on it. We all know that private label is the ultimate goal to build a long-term sustainable physical product business, but it still seems scary and unattainable for some. If that’s you don’t feel bad. Christi Michelle launches private label products and exclusive bundles (almost as good as private label) in only 4 weeks and with less than $100. Her strategy could not be less intimidating and easy. Christi and I did a webinar a few months ago and she knocked everybody’s socks off with her 4 Week and $100 method so guess what? We’re doing it again this Thursday at 8 PM ET. It will be recorded so even if you can’t make it live register and you’ll get the replay. This time, though, she’s going to go into many more examples of her method and how you can implement it into your business. Plus if you register for the 2nd workshop, you get access to the first one for free! In my private label mentoring program one of my students took Christi’s method and launched her own product for $68! I know we’re in Q4, but there is still time to have your private label product or exclusive bundle launched in time for the peak of Q4. You don’t want to miss this! This is the EASIEST method of launching a private label product I have ever seen. Unless you’ve been hiding under a rock for the last several days, you’ve heard about Amazon’s review policy change. Gone are the days of sellers with an unlimited budget being able to throw up sub-par products and getting them ranked and selling while the rest of us are busting our butts trying to build a real business. Product selection is going to be even more important moving forward. Differentiate yourself. Don’t pick a product that is the same as 50 other listings. – Discount the product initially and then slowly raise the price. Some people just need an injection of confidence. You can do this. Q4 is the time to make it happen. Q4 can make the difference in your business. Run an Amazon report from Q4 last year to see what sold for you then. Source those items again. Avoid the race to the bottom by bundling a hot item with something complimentary. For those of you that source shoes… if there is no barcode on the box many times you can look inside the shoe and there will be a barcode on the tongue of the shoe. Want to leverage other people to boost your Q4 profits? Also, I’m giving away 2 bonuses for anyone that joins the Q4 Plan using my link (http://ryanreger.com/q4) – Jenni Hunt’s 2016 Hot Toy Trends AND my book Private Label the Easy Way. Simply email me at ryan@ryanreger.com with your receipt and I’ll send you the link to these bonuses. Barrington McIntosh and Lance Wolf talking about Q4. They’re going to be on a webinar with me this Wednesday at 7 PM CT to reveal some of their Q4 secrets and how you can crush it this Q4. See ya on the webinar! It’s not fun when the rules change or when things happen that are outside of our control. When they do happen, we have two choices: quit or move forward. You are of the type that is going to figure out how to adapt and move forward in your business. In 2008, we started by selling furniture on Craigslist. For over 3 years our entire business was built upon Craigslist. Then one day it came crashing down because of a competitor using auto-flagging software (we think) to remove our ads. At that moment we had a choice and we chose to figure out how to move forward. God was good to us and brought Jim Cockrum into our lives who told us about Amazon FBA. Our business has never been the same – it has grown beyond what could have been possible through Craigslist. It can be the same for you and your business. Use this as an opportunity to grow and move forward. So what’s the solution? I believe private label is the best way forward, but not private label like you might think….Private Label the Easy Way. Yes. There is an easy way to private label and I’d love to help walk you through it. Jenni Hunt and I are offering our popular Private Label the Easy Way Mentoring Program again at a ridiculously low price, but the offer ends soon. Get in now before it’s too late. Oh. And there’s still time to have a private label product by this Q4! Whether you believe RA and OA are dead or not, THIS is how you beat your competition for Q4! Q4 is the last quarter of the year… October through December – and it is traditionally the busiest selling season because of the Christmas holiday. Many Amazon experts will say it is too late to send in inventory for Q4… that you should have had your orders in months ago if you plan on selling well for the holiday season… and don’t even think about private label this late in the game. But, I’ve been doing this for a long time, and I’m able to say – It’s NOT too late! And – I have the tools to help you get in the game and play big! When most sellers think of private labeling a product, they think of ordering huge (costly) quantities from China to put their own brand on. Frankly, that can be a bit intimidating… believe me it isn’t the only way. In fact, there is a MUCH less expensive way that cuts time it traditionally takes to get a PL product to market by up to 80%! No joke! Using the methods in Private Label the Easy Way, you can get your own private label product to market in 4-6 weeks with as little as $100-500! That means you can have a product selling for the hot selling season that is just around the corner! Last night I had the pleasure of hosting a webinar with my MM8 mastermind buddies, Eric Hardwick and John Bullard Jr. These guys are multi-million dollar sellers and have joined forces to create a Chrome Extension that will save precious time and help you make better inventory buying decisions. Eric and John have graciously offered a significant discount for my readers and the first 50 that grab Stock Check for theirridiculous charter price they’re throwing in their next extension called “Hit Source”, which allows you to quickly find suppliers for items selling on Amazon. Check out the end of the webinar for a demonstration of this one. This deal won’t last long because of their crazy price. Grab it right away. Join me as we walk the floor at ASD to look for private label opportunities. If you want to see how easy private label can be, join me next month! I know the title of this post sounds crazy doesn’t it? Christi joined my Private Label Mentoring Program a few weeks ago and then shortly afterwards posted her story of creating her own private label product and exclusive bundle in under 4 weeks with less than $100. I had to find out more. I wanted to see if her method was 1) Legit and 2) Could be taught to others to implement in their businesses. After spending a great deal of time with her via Skype analyzing her method I know that it totally can and I’m excited to announce that she’s putting together a complete training webinar for us next Wednesday at 8 PM ET. Christi is going to show you EXACTLY how she created her own private label product in 4 weeks with less than $100. Her strategy also works for bundling. So even if you have no desire to do private label, her system will work for you to create exclusive listings that no one else can jump on. Because Christi is spending a LOT of time creating this training and because it’s a complete course from A to Z, I wanted to make sure she gets something for her time. So we’re charging $17 for this webinar. Don’t worry if you can’t make it live. We will record all of it.